← What is behind the Turkish Operation “Olive Branch” in Northern Syria? Posted on January 31, 2018	by chainsoff. dw–Polish state prosecutors have set an ambitious goal for themselves: to find surviving Nazi SS soldiers who committed war crimes at German concentration camps during the Second World War and to bring them to trial. The institute, which studies the history of Poland under German and Soviet rule, has set in motion hundreds of cases against Nazi war criminals. Most have to do with mass executions and the pacification of Polish villages during the German occupation from 1939 to 1945, as well as crimes against the civilian population during the 1944 Warsaw Uprising. The nine most comprehensive investigations have to do with the mass murder of Polish citizens in German concentration camps between the years 1939 and 1945. The cases involve the camps Auschwitz-Birkenau, Ravensbrück, Majdanek-Lublin, Buchenwald, Mauthausen, Sachsenhausen, Dachau, Mittelbau-Dora and Gross-Rosen. A working group of state prosecutors and historians has compiled a list of 23,000 SS concentration camp functionaries, from which 1,600 names have been selected. They are men who were in their 20s at the time, who have never been punished for their suspected crimes and whose names and professions before the war are known to authorities. Polish investigators hope that this very specific information will allow them to locate the accused. Poland’s government has submitted 400 requests for assistance to international law enforcement agency Interpol, with another 1,200 set to follow soon. Ten cases have already been reviewed. 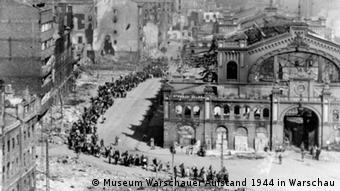 Replies from Germany and Austria have come back negative: The wanted persons, they said, were no longer alive or their whereabouts unknown. 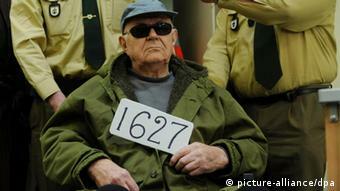 Janicki believes that most of the former SS men would be living in Germany if they are still alive. Should any be found there, Poland would issue a European arrest warrant and turn to Germany for help in extraditing them. But not all of the accused are Germans, others are from Austria, Ukraine, Belarus and Latvia. Poland has been prosecuting Nazi war crimes for decades. A number of investigations were launched after the end of the Second World War, but most were shut down in the 1960s and 70s due to a lack of willingness to cooperate on the part of West Germany. Only a fraction of Nazi war criminals living in what was then West Germany were ever brought to trial, let alone convicted. But in 2011, Ivan “John” Demjanjuk, at former guard at the Treblinka Nazi death camp, was found guilty of being an accessory to mass murder. It was the first time that a German court had ever handed down a conviction for accessory to murder in a concentration camp without having to prove an individual crime. Polish state prosecutors hope this shift in German jurisprudence will help them in their quest to prosecute war crimes — an offense for which, like crimes against humanity or genocide, the country has no statue of limitations.